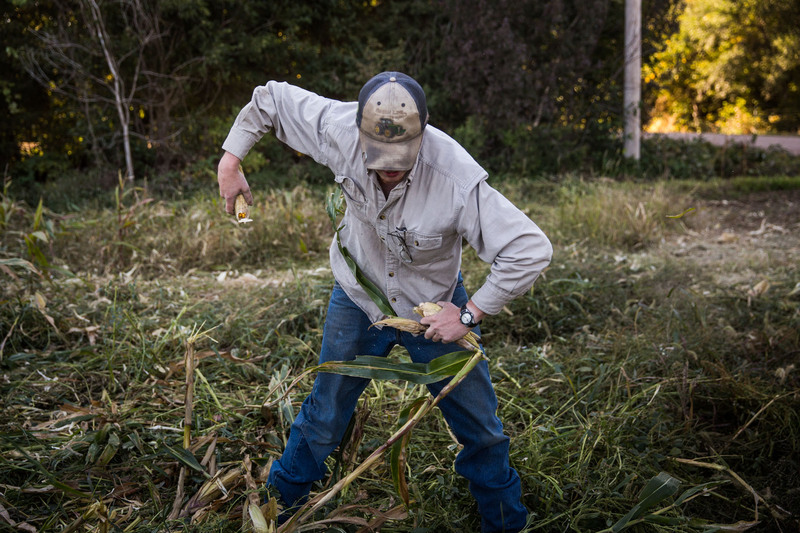 Daniel Graves, a 26-year-old farmer who would be directly effected by the proposed Keystone XL pipeline, collects stray ears of corn while harvesting corn on October 11, 2014 in Polk, Nebraska. Graves, a native Nebraskan, is staunchly against the proposed Keystone XL pipeline, which would pass through his property. He believes the pipeline would negatively effect Nebraska's environment and is frustrated by the way TransCanada has treated Nebraskans.